Lakeridge Health Foundation’s Launchpad is a group of young leaders dedicated to improving the health of our community. Through rewarding events and initiatives, their goal is to raise awareness and funds for the hospital. Donations received through Roughley Insurance will make an immediate impact on Lakeridge Health Foundation’s patients and their families. The Launchpad Executive Committee is made up of young leaders who are inspired to improve health care in Durham Region through fun and exciting events and activities. Our very own Cassandra Wildman is a member of Launchpad’s Executive Committee! 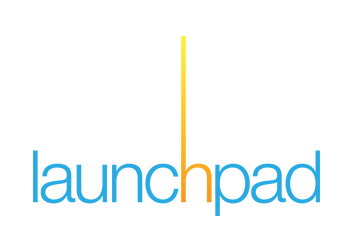 At Roughley Insurance we’ve recently launched a campaign to further our support of Launchpad! 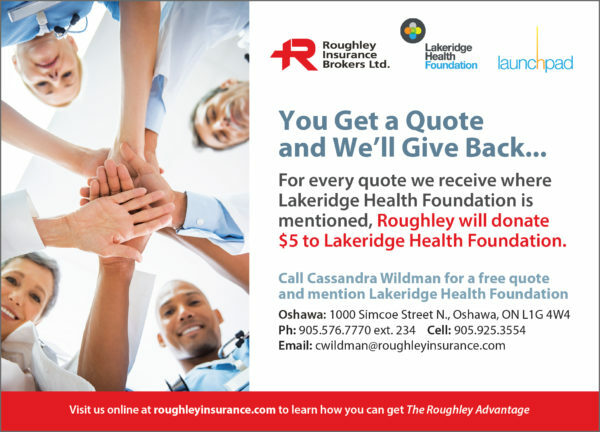 By calling Cassandra Wildman for a free quote and mentioning Lakeridge Health Foundation, for every quote we receive, Roughley will donate $5 to Lakeridge Health Foundation. You can reach Cassandra directly at cwildman@roughleyinsurance.com, 905-576-7770 ext. 234 or 905-925-3554.